Enter to win a #PaddingtonMovie Prize pack! I love Paddington! 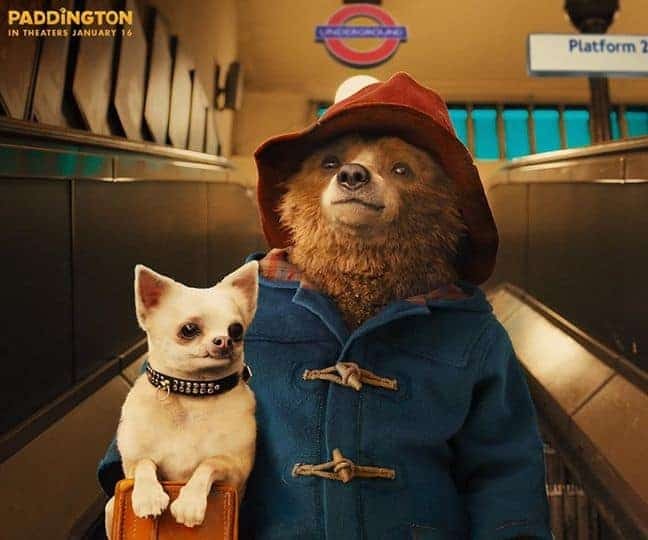 I have so many fond memories of him from when I was a kid and I am so excited to take my kids to see Paddington in the movie theaters on January 16th. The movie looks adorable, plus it is from the Producer of Harry Potter, so you know that it will be amazing! 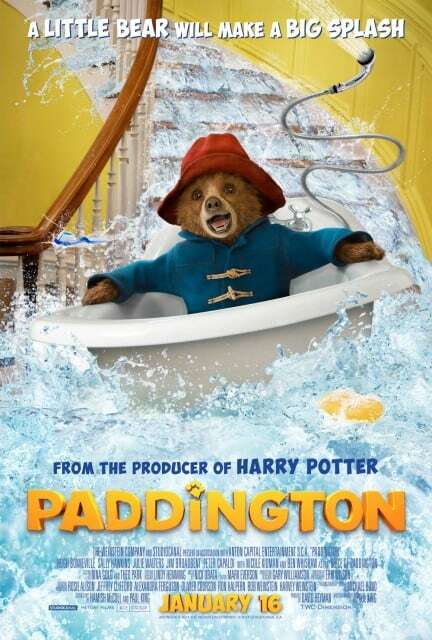 I am excited to share a fun Paddington Giveaway with you. This giveaway includes one of Paddington’s favorite treats. Paddington Chocolate Chip Brownie Brittle are a delicious treat that everyone will love as much as Paddington does! The limited-edition box comes with the story of the brand’s support of Cookies for Kids’ Cancer, and the oh-so-cute Paddington Bear to celebrate The Weinstein Company’s new film hitting theaters this January! They are available for purchase here. Want to make delicious desserts with your favorite treat? Check out Brownie Brittle’s Paddington favorite holiday recipes! How about a GIVEAWAY! 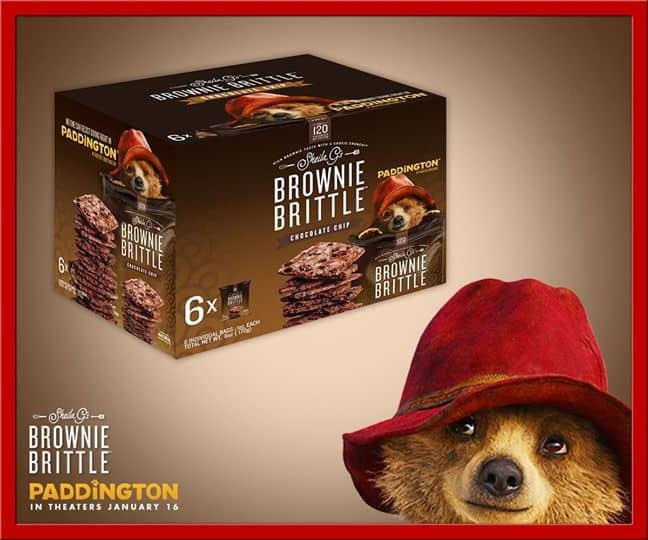 One reader will win Paddingtons favorite treat, Brownie Brittle (1 box, 6 individual 1oz bags) and a $25 Visa gift card to see the film in theaters. Previous Post: Celebrating Annie in theaters Dec 18th with a Giveaway!